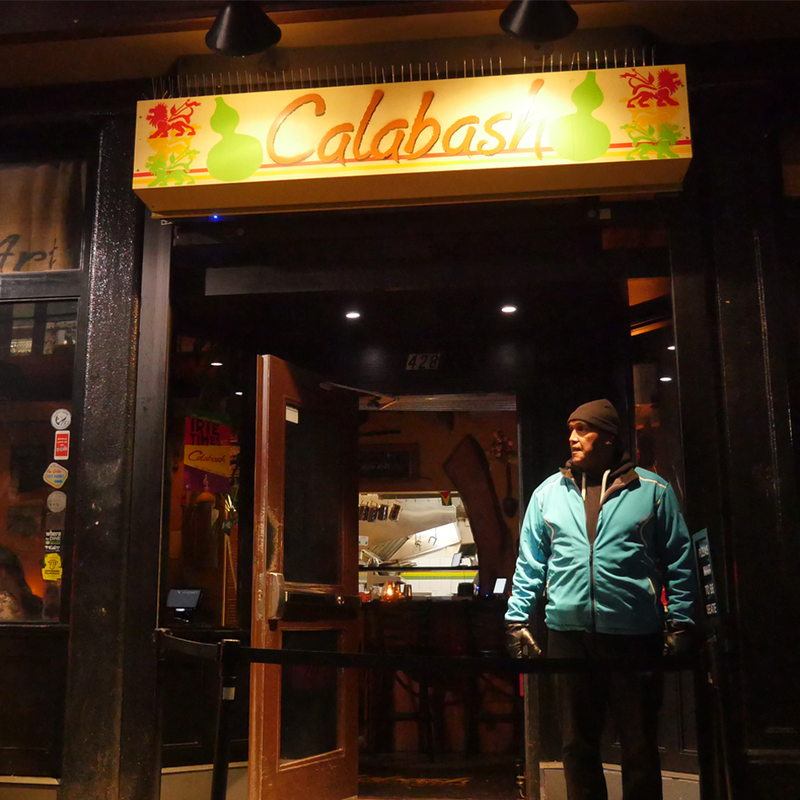 Calabash was a place created to celebrate and share Caribbean culture with Vancouver. Through food, drinks, music and art, we developed an unpretentious landscape that is safe and welcoming for all who visit. We offer traditional and contemporary Caribbean cuisine of the highest caliber, delivered with warm service, amidst music for the soul, art for the heart and an overall fulfilling experience that keeps guests coming back for more. Calabash was a dream born out of the conversations, mandatory after work drinks and nights out, demanded by the restaurant industry, between three friends. Sam Willcocks – industry respected, highly experienced and co-founder of the award-winning Cassis Bistro. Will keep the wheels turning with a wicked sense of humour. 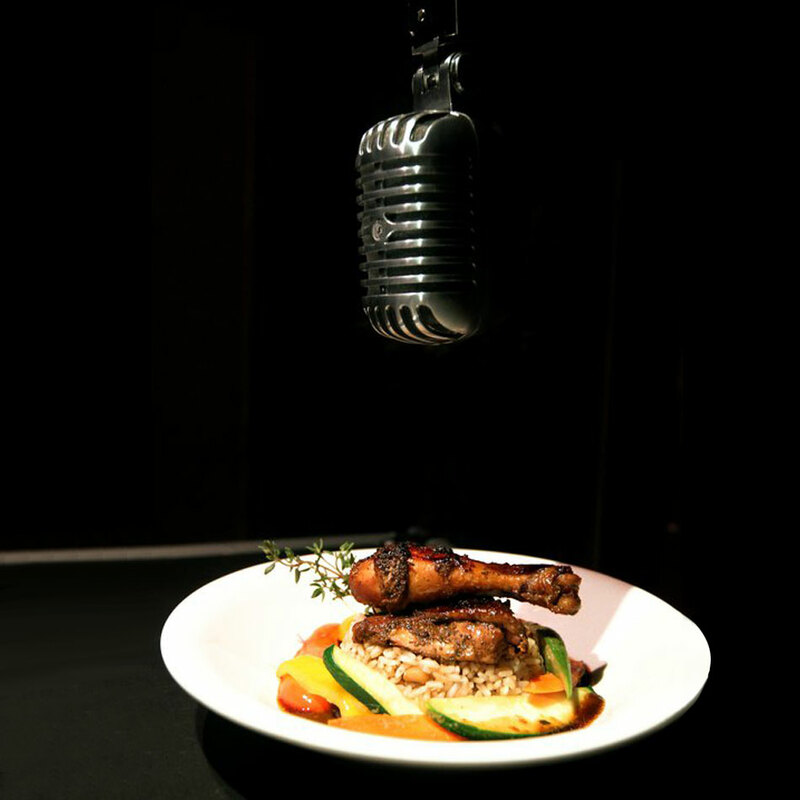 Roger Collins – world travelled, globally refined in hospitality and connected to the music industry on an international level. Known to connect with everyone in any and all conversations. Cullin David – trained under Jean-Francis Quaglia (Provence Marinaside) and then educated by the indigenous Arawak people in the Guyanese Amazon about the origins of Caribbean cuisine. A flavour king who has never ending fire for inspiration in all things. Their friendship flourished through their mutual love for art, literature, culture and cuisine. Through this, manifested the energetic and multi-dimensional experience that is Calabash today. At Calabash we believe in elevating artists to help get them on their feet. Our downstairs gallery provides the opportunity to exhibit and sell their work. We offer a significant wall space, in a culturally-rich environment, where we take zero fees or commission. Our arts program has seen dozens of undiscovered local artists showcase over the years and continues to flourish. The Downtown Eastside (DTES), notorious for many things, has allowed us to become a part of their community and we embrace it. Calabash donates food to those in need regularly, including holding our own food drive in front of the restaurant on occasion. Over the years we have worked closely with the PHS Community Services Society where possible, who implement initiatives such as housing for the homeless, safe injection sites and more. We thank the DTES for letting us grow with them as a community. We only have one. To do our part for the earth, Calabash is extremely regimented in all recycling and waste management processes. A huge focus has been placed on minimising single-use plastics, where we’ve cut out most from our take-out packaging and no longer carry plastic straws, only paper straws if requested. More sustainable practices are important to us and we are continually looking for ways to improve.